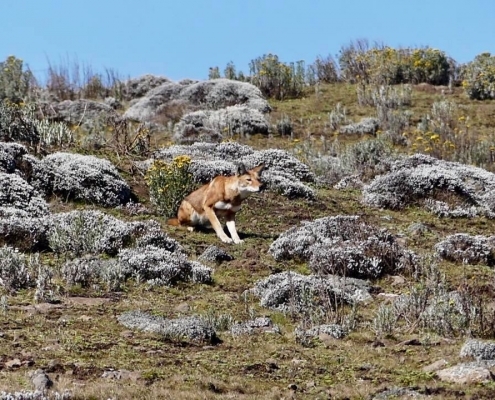 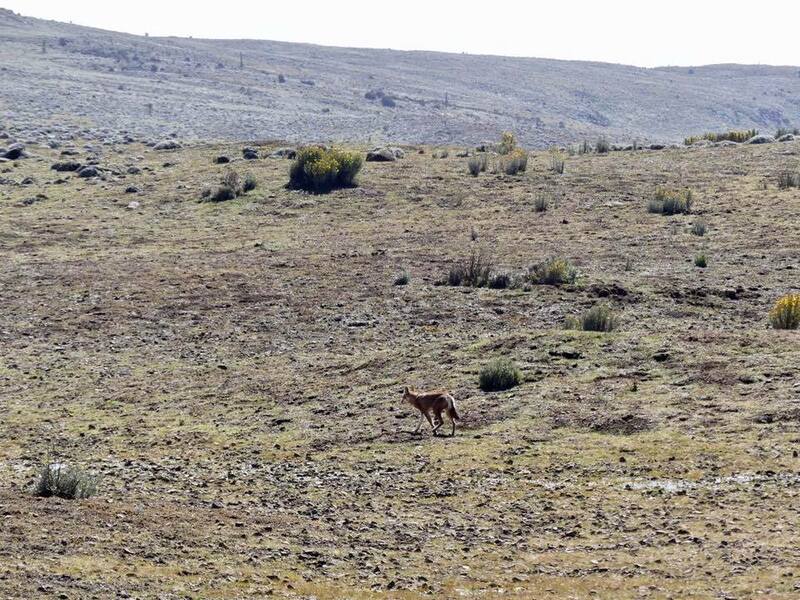 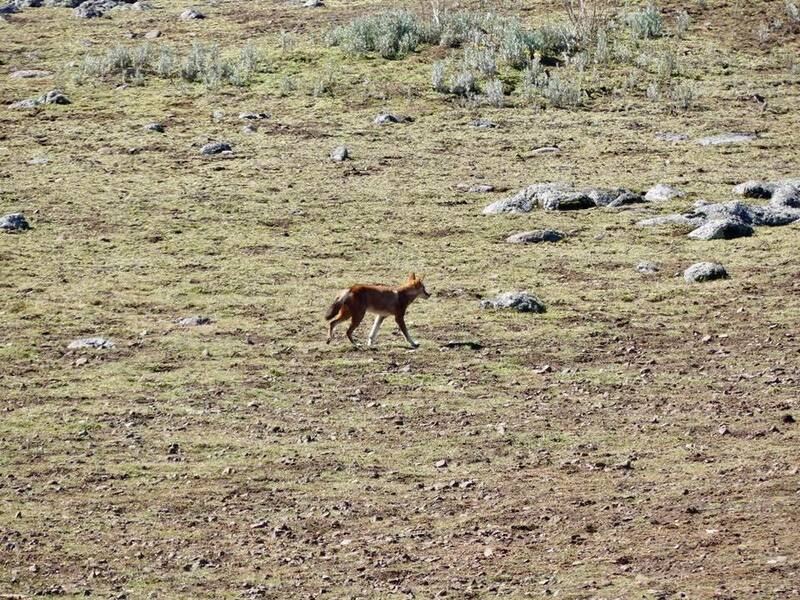 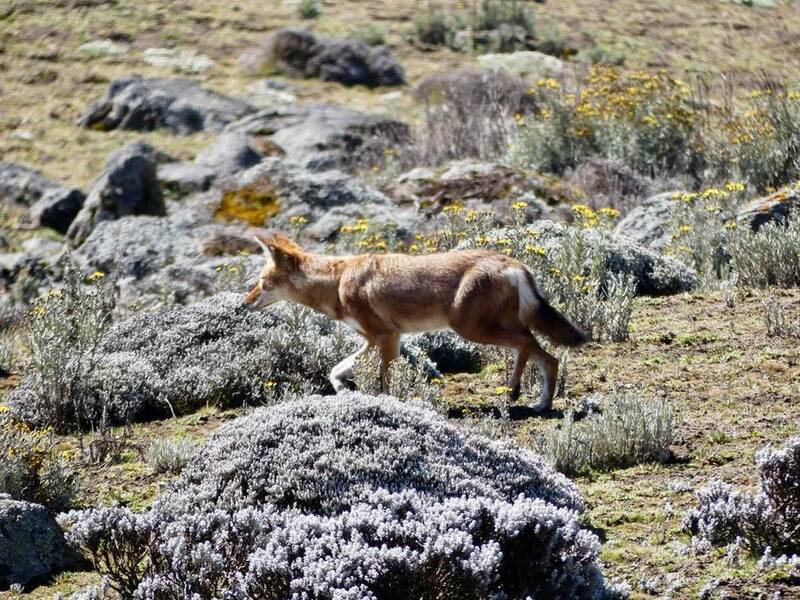 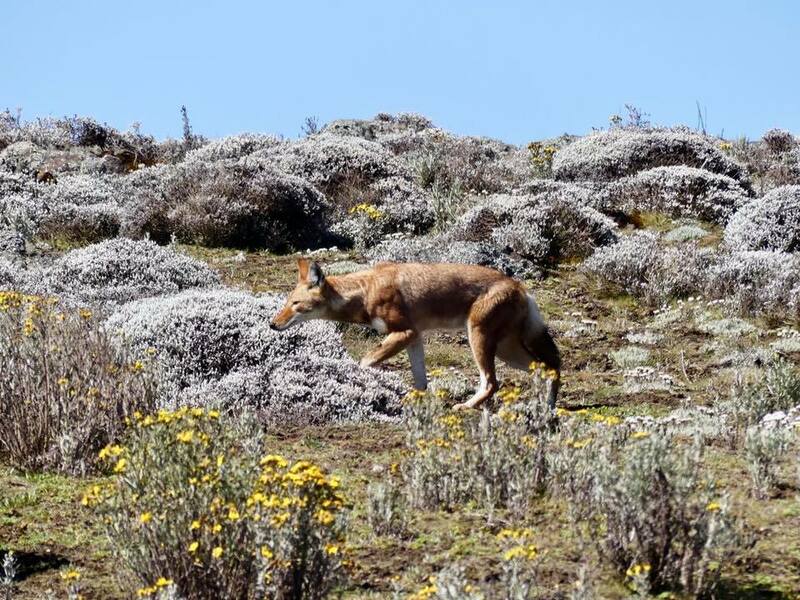 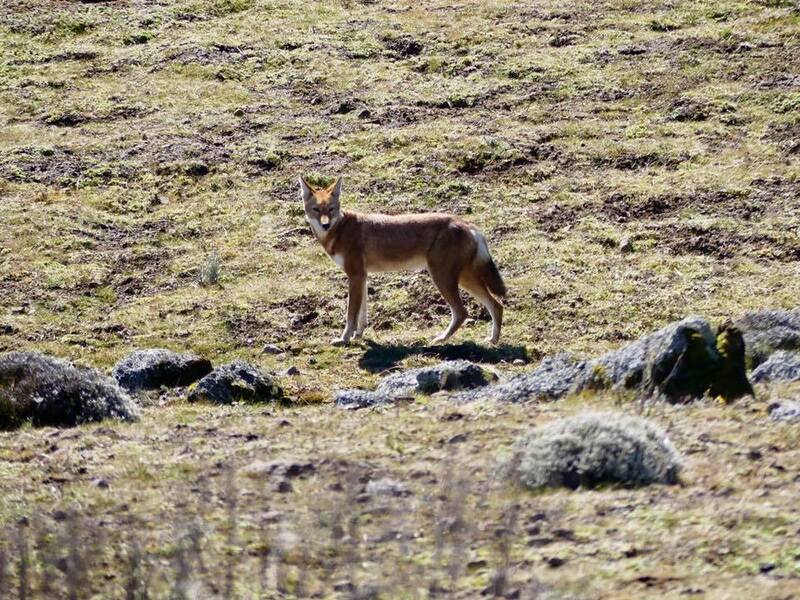 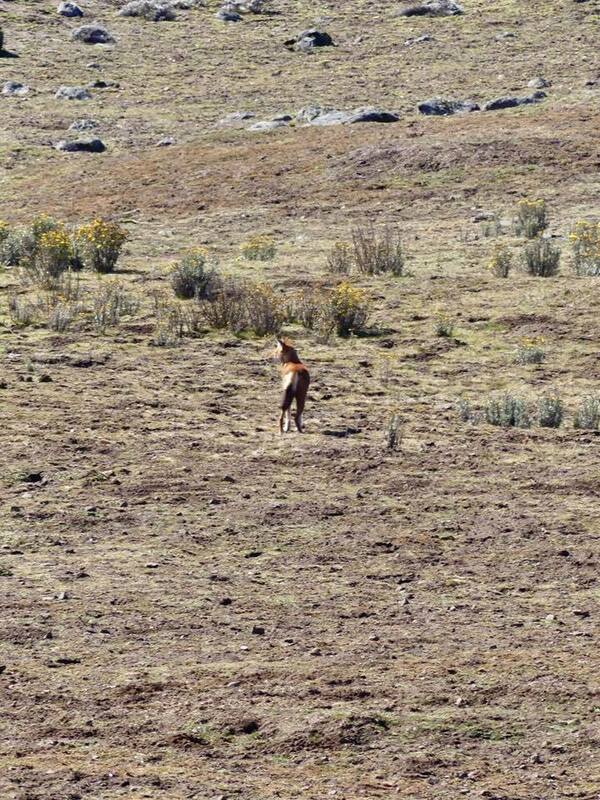 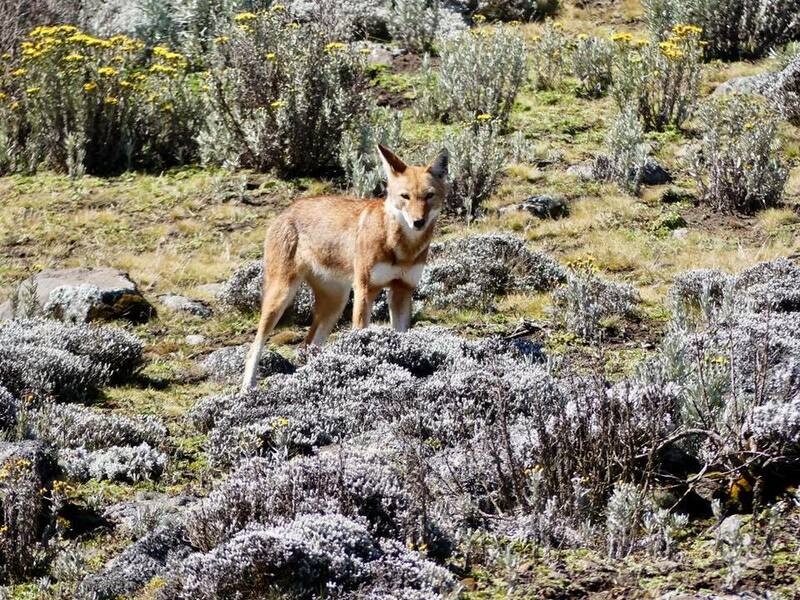 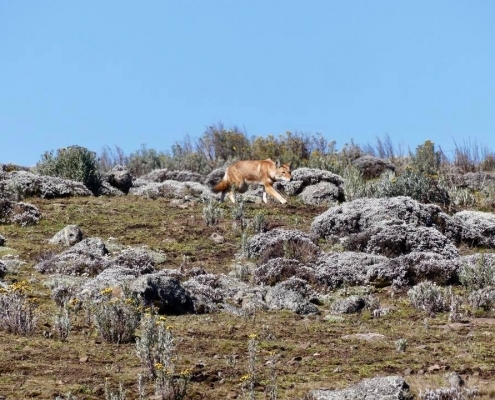 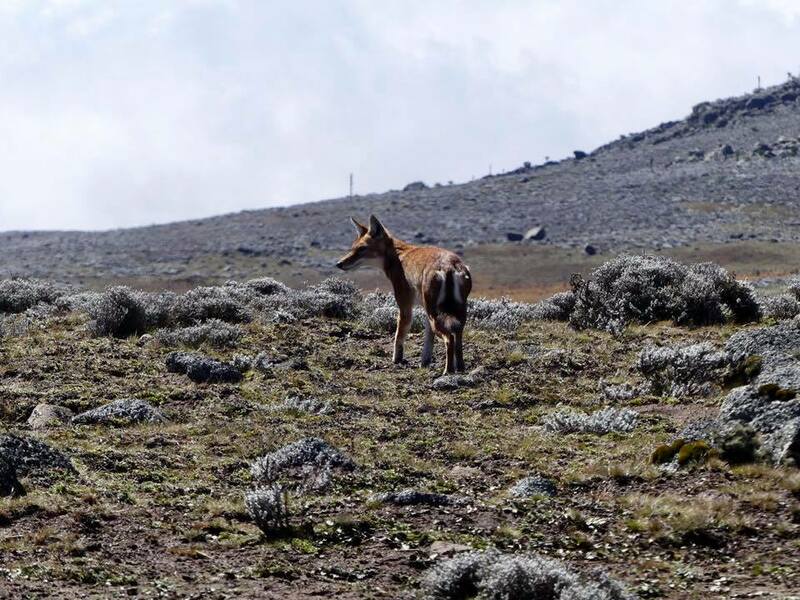 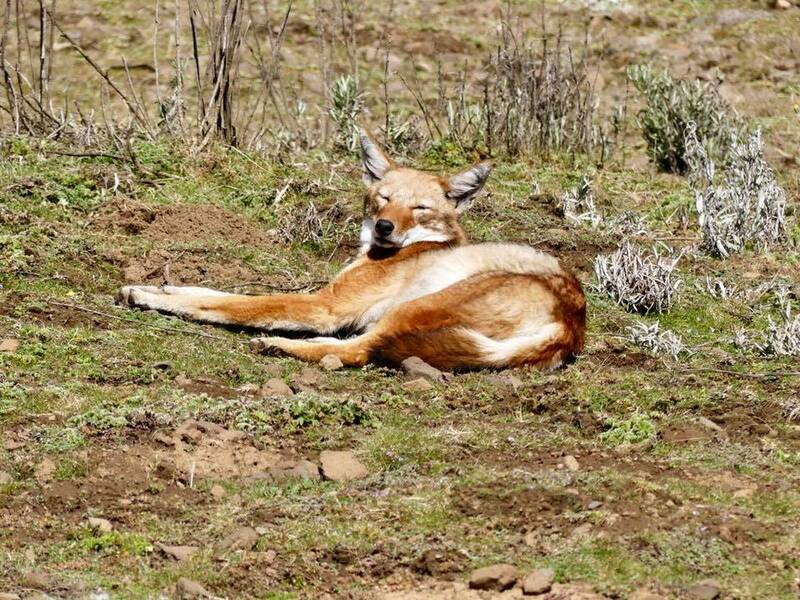 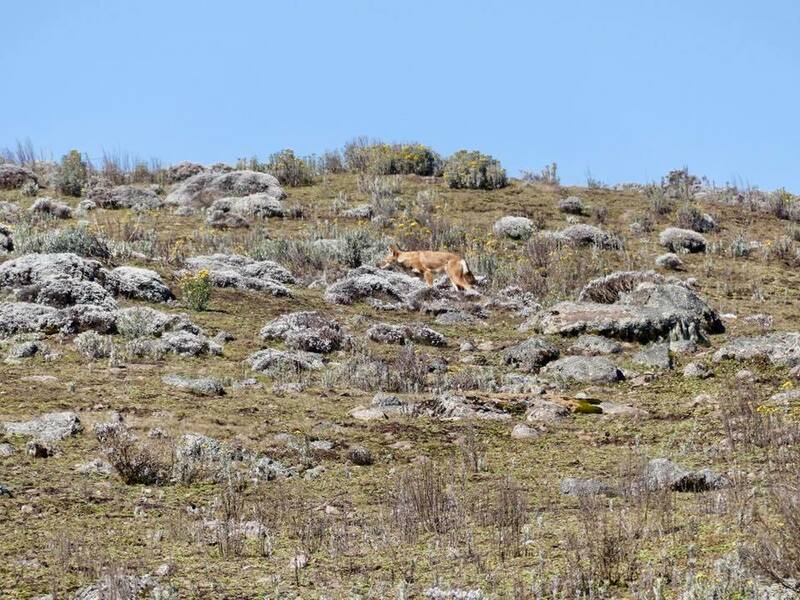 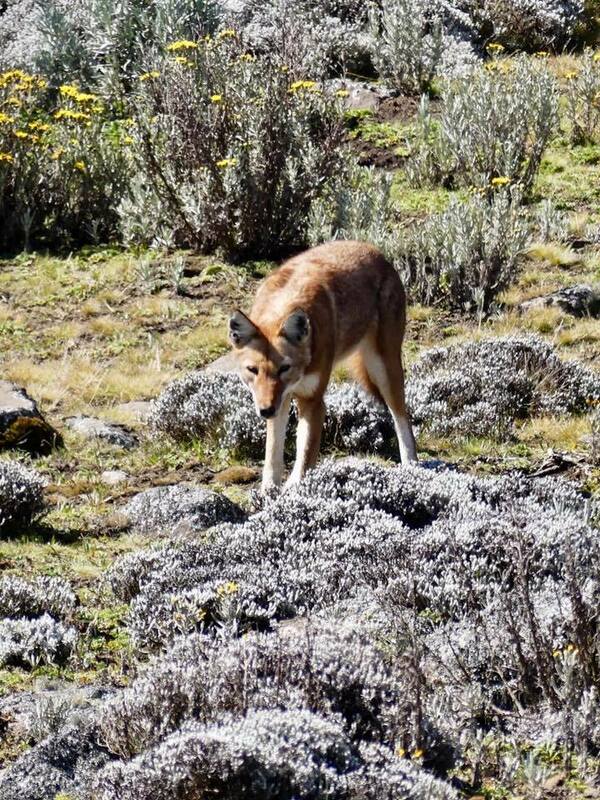 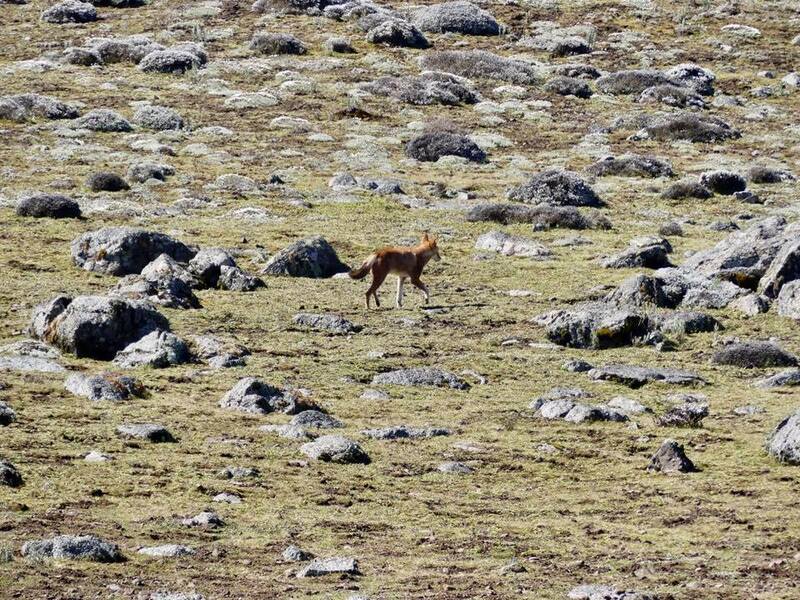 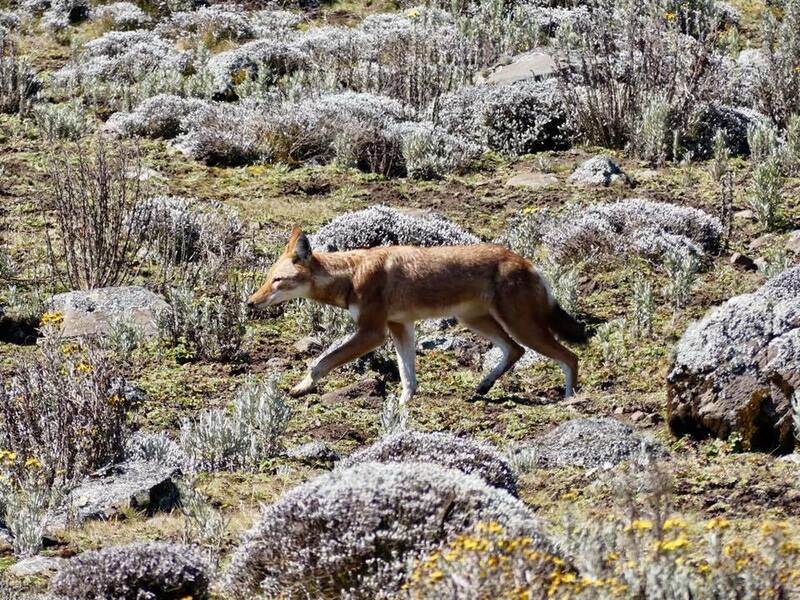 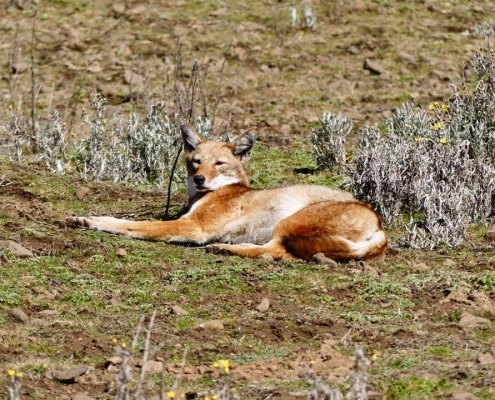 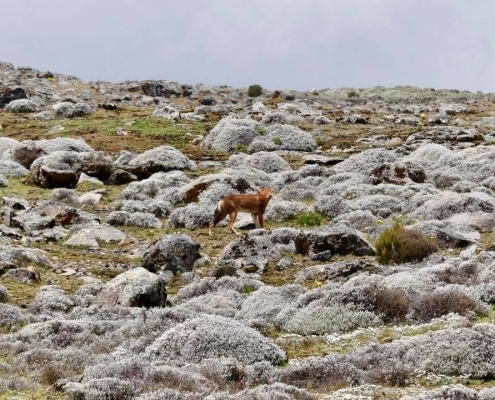 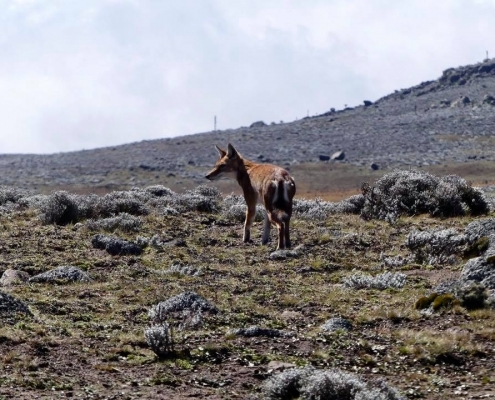 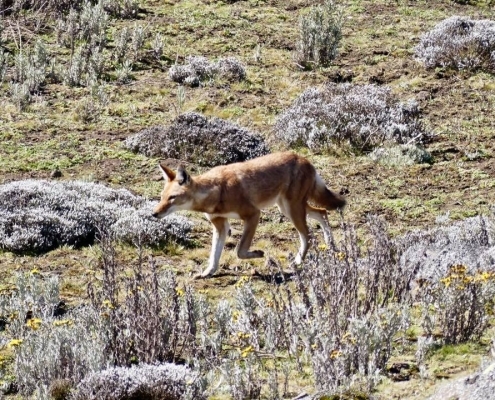 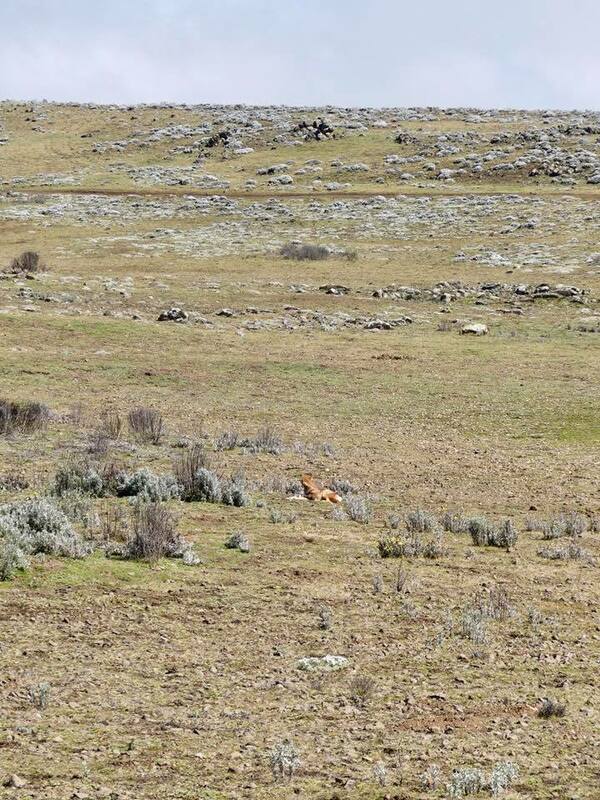 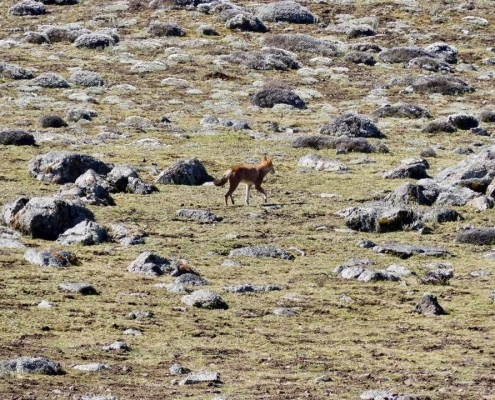 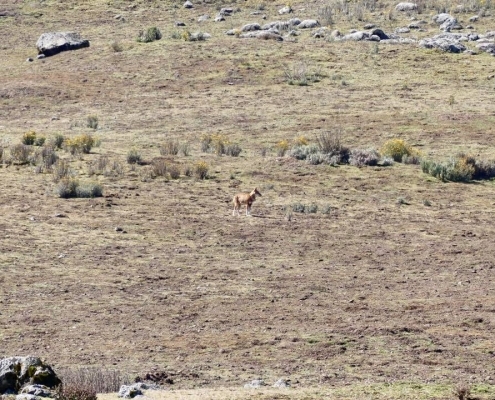 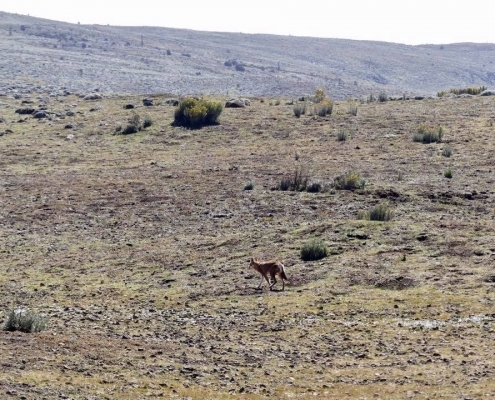 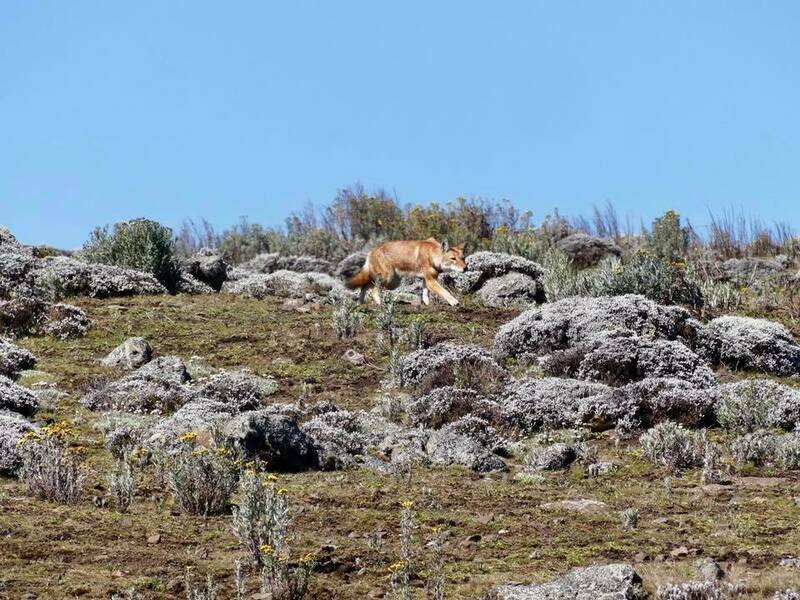 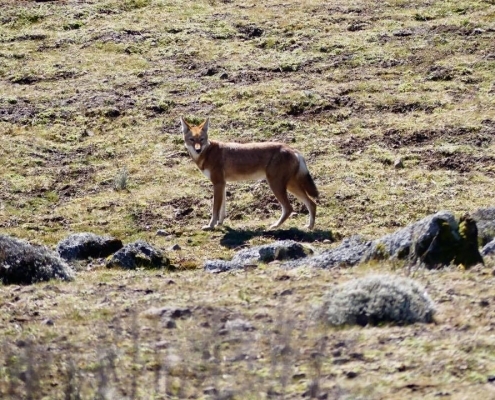 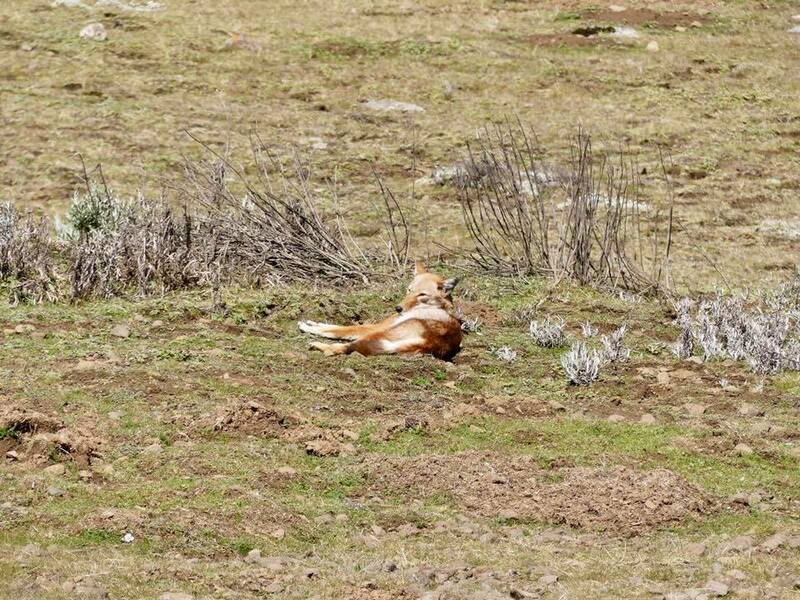 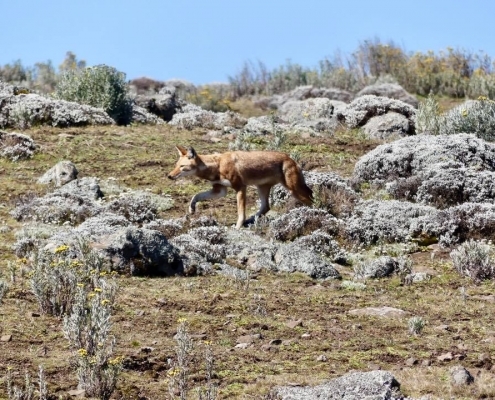 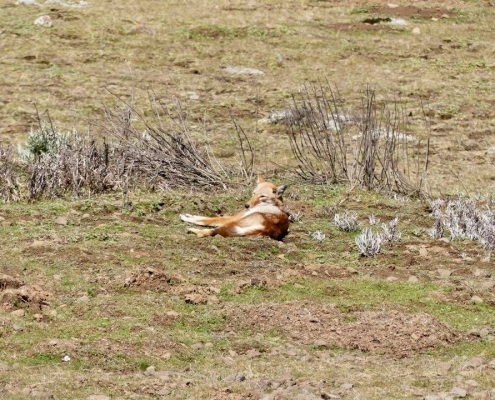 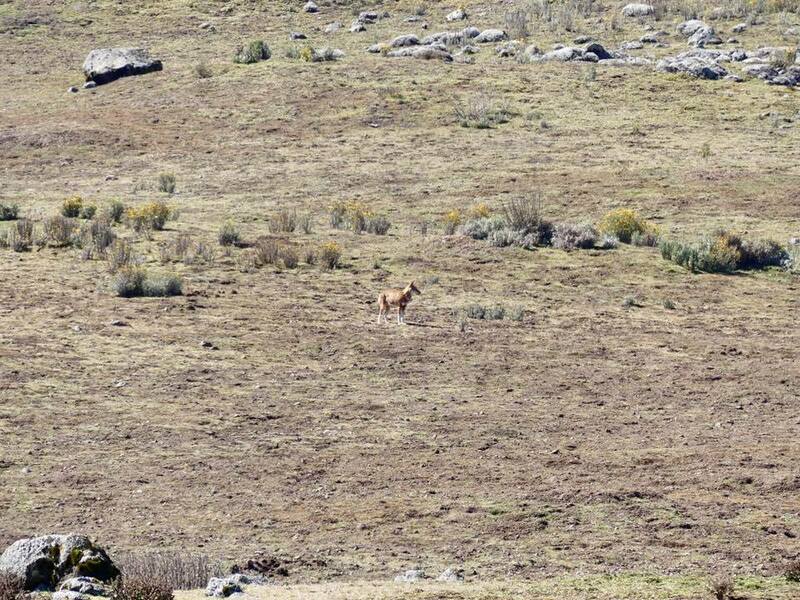 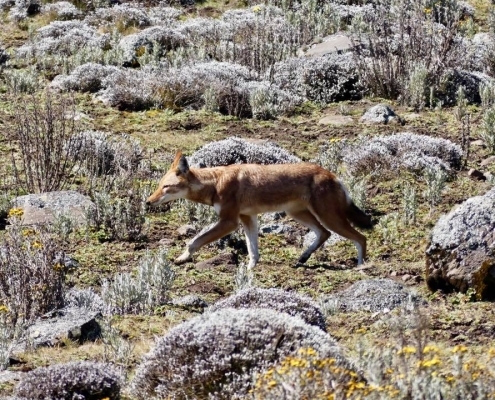 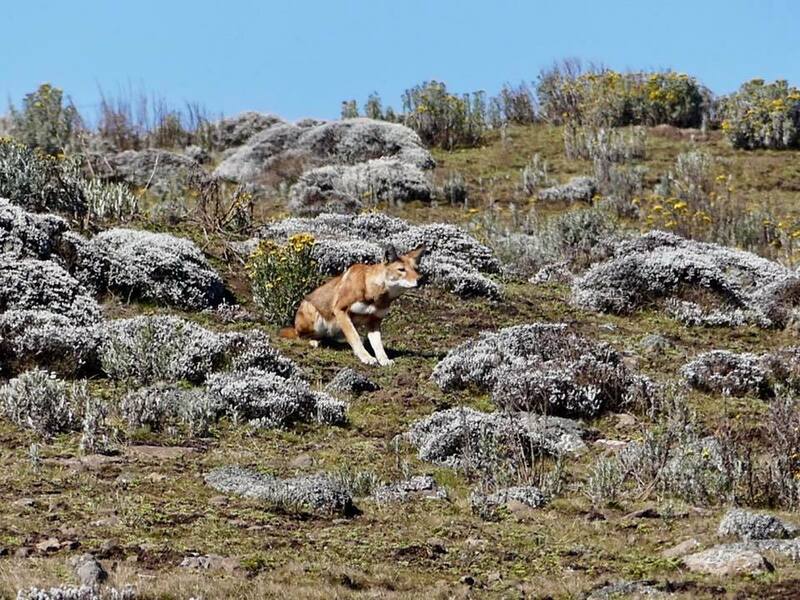 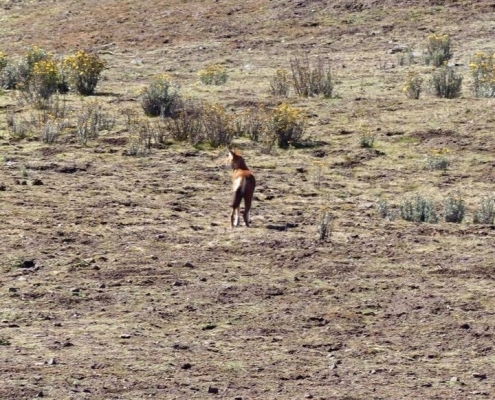 To be honest- it wasn’t the Omo Valley that I came to Ethiopia for but the Ethiopian Wolf. 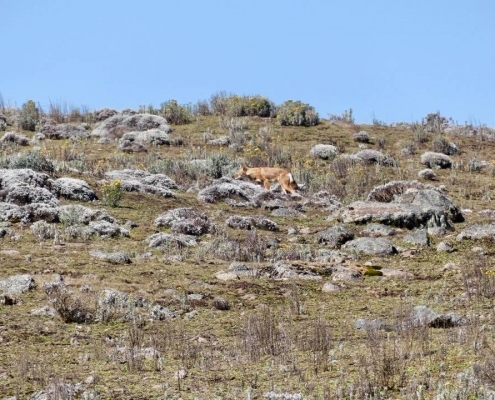 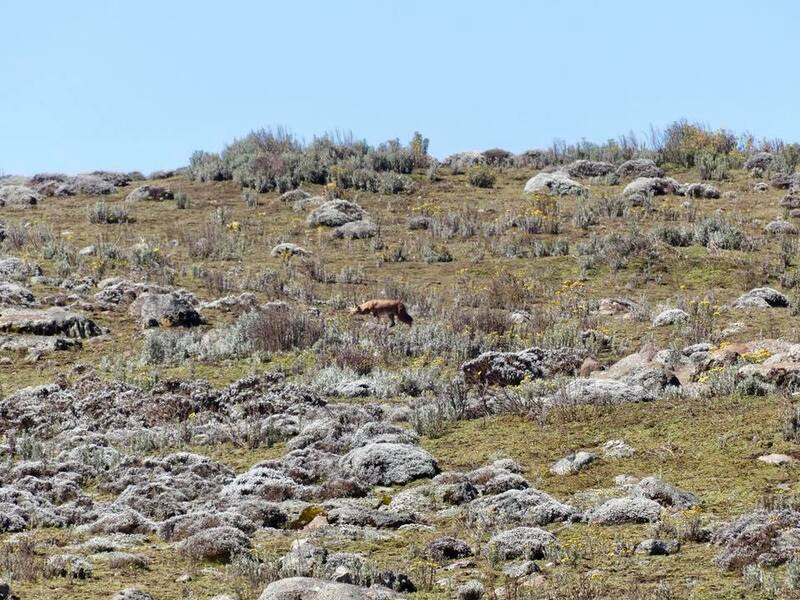 The elusive animal evaded me in the Simian Mountains, so Bale Mountains was a second opportunity to find and observe them. 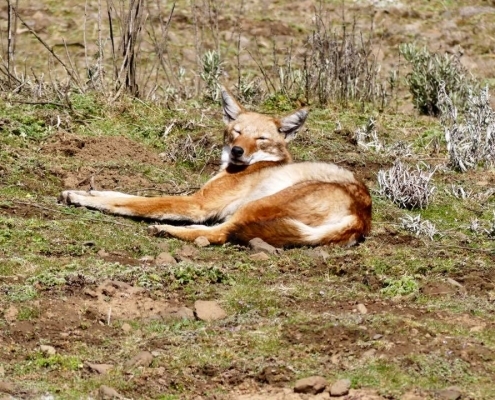 It is the world’s rarest canid! 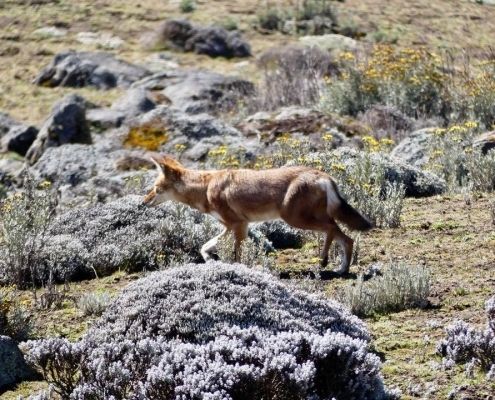 They live only here on the Sanetti Plateau and in much smaller numbers in the north of Ethiopia. 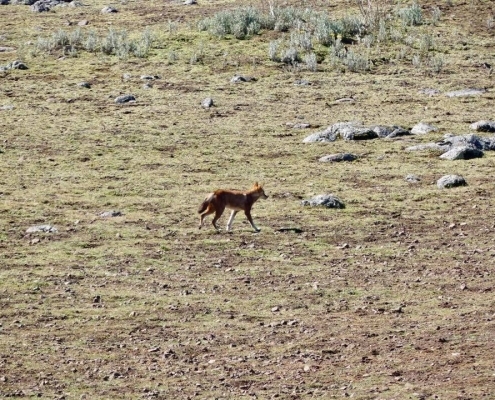 They are relatively small for wolves, the size of a coyote and the color of the red fox. 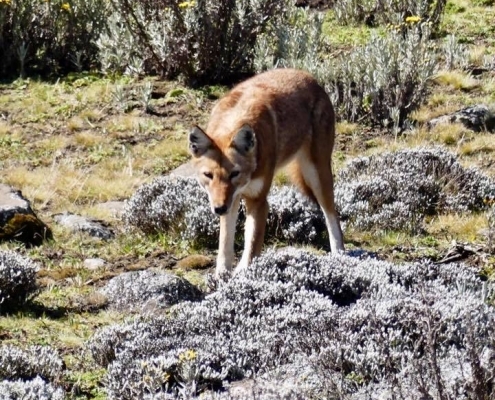 They specialize in only one type of food – rodents! 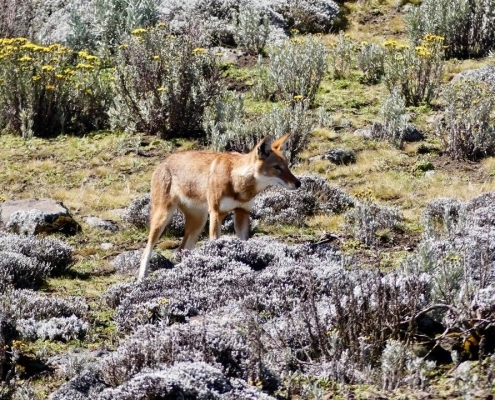 Over 36 species of rodents inhabit these cold high elevations plains and the Ethiopian wolves have developed unique skills at stalking and hunting them. 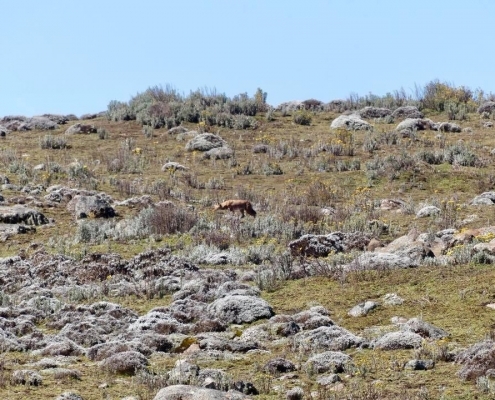 I got lucky to witness one of the attacks! 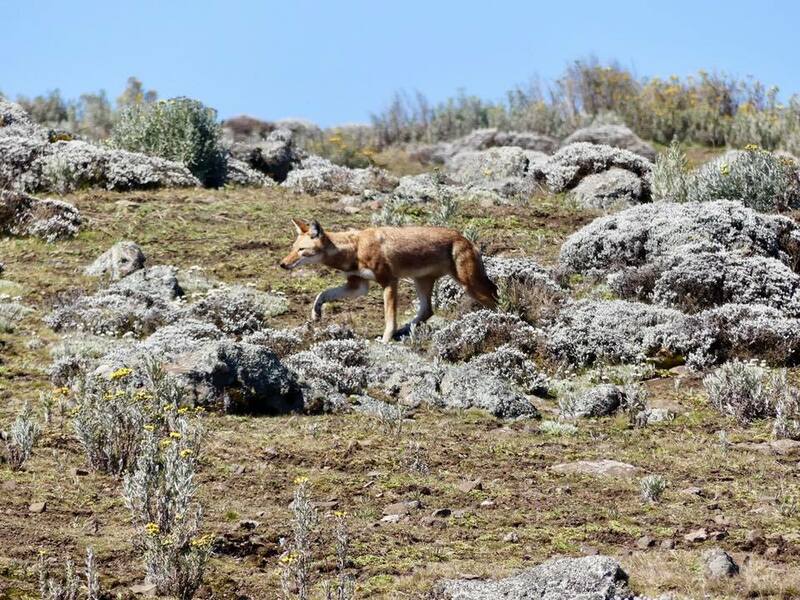 All in all, I counted 7 different wolves while exploring the Sanetti Highlands – some crossing the terrain in search of prey, some resting on the ground – all solitary, although usually they are in packs. 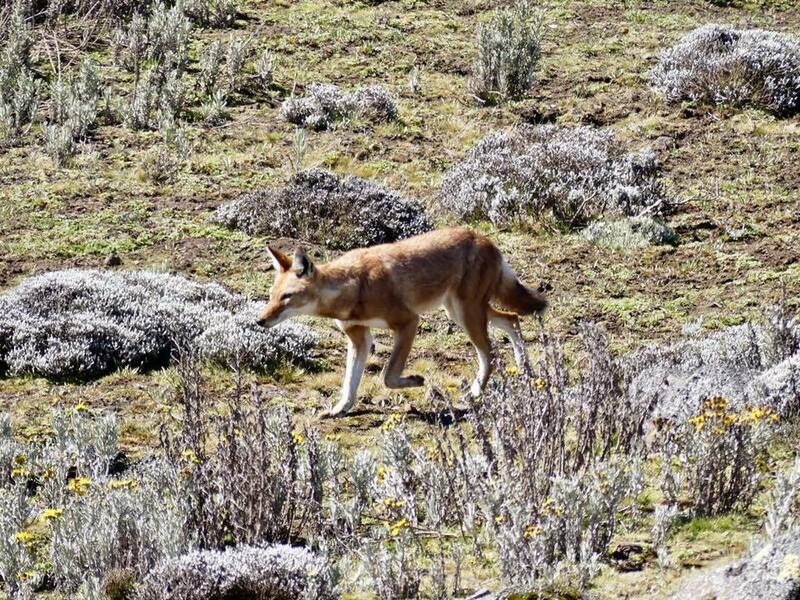 The skinny looking wolves have nonetheless very thick underfur protecting them from the almost permanently freezing temps here. 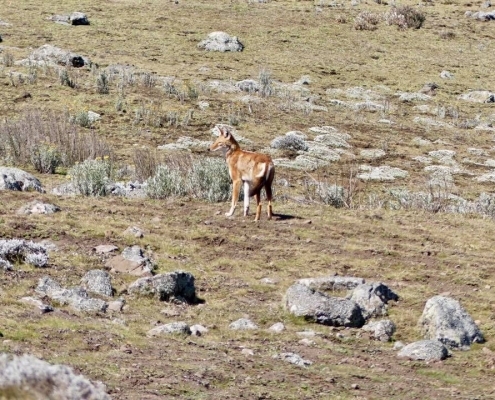 Pups are born around November, but I wasn’t lucky to see any. 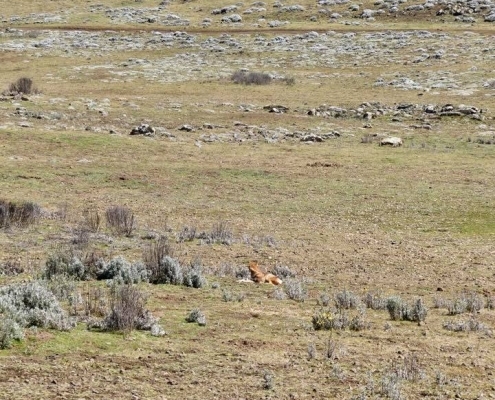 Perhaps – next time!